Information in relation to dogs needing homes is provided and negotiation of adoption arrangements is the responsibility of those who have a dog that needs rehoming and the person(s) wishing to rehome that dog. Animals for rehoming are on a ‘referral’ basis only i.e. The owner of the dog, and the person interested in adopting the dog, are put in contact with each other. We take no responsibility in the decision or choice of the owner giving up their animal to other persons who may provide the dog with a home. If you are considering finding a new home for your German Shepherd Dog, please read the attached article ‘Do you really have to give up your German Shepherd‘ before making any final decision. If you have found a lost German Shepherd Dog, please read the attached Tracing Lost Dogs article, or contact us via our Contacts page on this website. Disclaimer: The German Shepherd Dog Club of Victoria offers no warranty of any kind in relation to any dogs offered for rehoming through the Paws for Thought Program. The German Shepherd Dog Club of Victoria does not enter into any negotiations between the owner and buyers or rehomers and remains an independent entity. 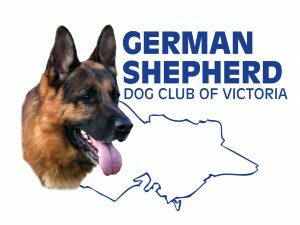 The Committee of the German Shepherd Dog Club of Victoria reserves its rights to decline or withdraw any listing or cancel this site without prior notice.